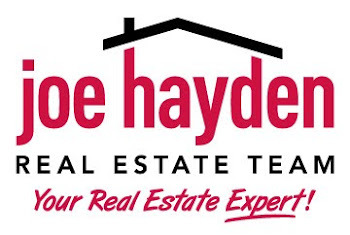 Louisville's Art Gallery and Museum Events for April 2013 | Louisville Real Estate with the Joe Hayden Real Estate Team - Your Real Estate Experts! If the only thing that comes to mind when you think of Louisville is the Kentucky Derby, then it’s time that you discover the cultural side of the city. Louisville locals are hungry for art, and there are a number of museums and galleries in the city. No trip to this city would be complete without at least one day dedicated solely to taking in all that these galleries have to offer. A non-profit organization dedicated to the collection and exhibition of modern art, 21C museum is the place to be for anyone interested in the contemporary scene. Specializing in both group and solo exhibitions, this 9,000 square feet location is home to both permanent and rotating exhibits. This beautiful gallery features street-level and atrium spaces, as well as a specialized video lounge. A beautiful place to visit and learn, 21C museum is not to be missed. 15 years of survey and speculation culminates in this exciting, evocative exhibition by celebrated American artist, Michael Combs. On display at the 21C museum, this stunning exhibit examines our concepts of gender identity and myth, and the effects these concepts have on our culture as a whole. Examined in relation to the culture of games and sport, this exhibit cuts deep into concepts of competition, power, control and reward. Wild Card is a mixed media exhibit that fully showcases Combs' masterful sculpture and his ability to use every day objects in a thought-provoking and unexpected manner. The Kentucky Arts and Crafts museum is another essential stop on any tour of the city's art scene. Located deep in Louisville's museum district, this beautiful gallery is comprised of four separate galleries packed with pottery, textiles, ceramic and more. April's exhibition at the Kentucky Arts and Crafts museum is a fascinating exploration of Kentucky's fascination with bourbon. Artists from all across the country have contributed to this memorable show with their diverse interpretations of the iconic bourbon bottle and shot glass. Beautiful, whimsical, vintage, and modern, these bottles are sure to both amuse and impress. Founded in the early 1920s, the Speed Art Museum is one of the oldest museums in the city. A cultural institution with a fascinating history, this museum is run entirely on donations, endowments, memberships, and grants. Hosting both traveling and permanent exhibits, the museum strives to stock its galleries with a comprehensive selection of art from ancient to modern. This exhibit at the Speed Art Museum is a must for any art lover. Portraits, landscapes, still lives, and religious interpretations are all celebrated, allowing for a fascinating peek into the 17th to 19th century. A vibrant and constantly expanding arts scene is quickly making Louisville one of the biggest art hubs in the country. To not spend at least a few hours roaming Louisville's many museums would be a loss. Experience for yourself all the art that Louisville has to offer - you'll be glad you did!